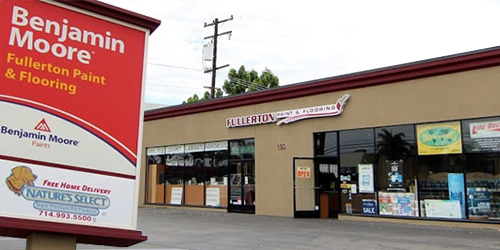 Fullerton Paint & Flooring, in Anaheim, sells a large variety of high-quality specialty coatings that help protect outdoor surfaces from the damaging effects of the sun, wind, and rain, which can cause fading, mildew, and deterioration. Our specialty coatings are ideal for extending the life of pools and roofs, and don't require frequent re-application. Rust-Oleum and ER Systems offer protective coatings for rolled roofs, flat roofs, and asphalt roofs on homes, garages, and backyard storage sheds. Our knowledgeable staff can assist contractors or homeowners on finding the best roof coating for your particular roof surface, goals, and budget. Aside from extending the life of your roofing surface, our roof coatings from Rust-Oleum and ER Systems also provide a higher reflectivity value to keep your home cooler and more energy efficient. Sunlight, chemicals, and regular pool cleanings can all accelerate the deterioration of your pool's surface coating, but pool paint can counter that. Pool paint protects your pool's surface so you can avoid costly repairs and add years of recreational enjoyment. Fullerton Paint & Flooring carries several lines of pool paint and coatings from INSL-X, Nelsonite, and Rust-Oleum. Our expert staff can steer you to the right product and walk you through the prepping and application process. At our Anaheim paint store, we carry epoxy, premium acrylic, and water-based acrylic pool paint, in white, aqua, marine, and other blue hues. We recommend INSL-X, Nelsonite, and Rust-Oleum pool paints to our valued customers because they are durable, quick drying, and cost effective. Low VOC coatings are also available. Other specialty coatings include, below grade waterproofing, garage floor coatings, Epoxy Coatings, deck coatings, moisture vapor barriers, polymer concrete, and polyaspartics. Call or stop by Fullerton Paint & Flooring today.